There are three separate ground planes: PGND, coming from the battery, GND, the normal ground, and AGND for analog sensors etc. I did a bit of trial-and-error by moving C3 and C2 closer to the LTC, and adding in another 1µF cap to C7. This didn't help much. 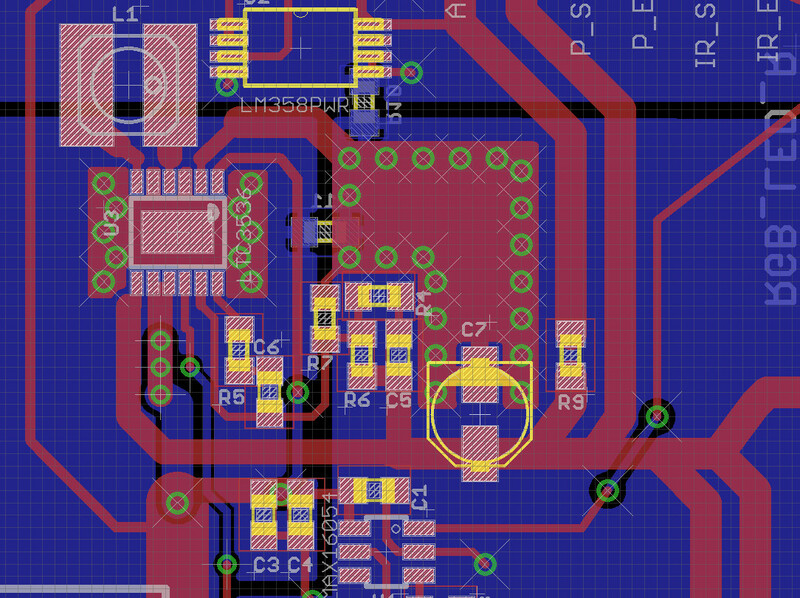 I then replaced C7 with a 220µF cap instead of the 22µF mentioned in the datasheet. With this, Vpp is ~200mV. 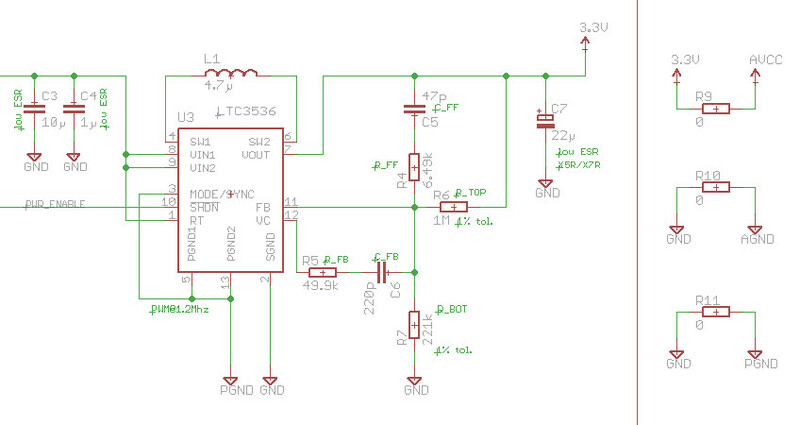 This is a lot better but still a long way from what is specified in the datasheet. 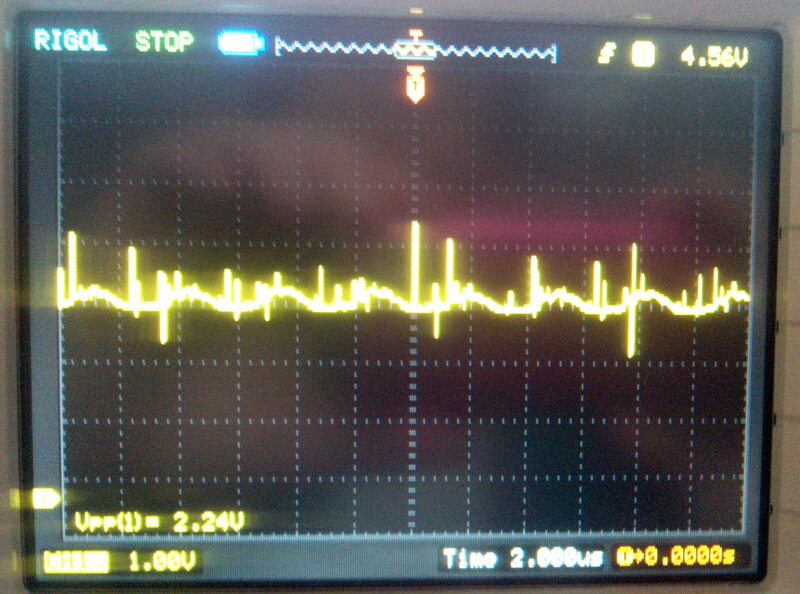 Additionally, this is only the case for Vin>4.3V; below this threshold Vpp is still over 2V. I guess it's the boost vs. the buck regulation that makes the change, but I don't really see how I can correct it. I was wondering if I made a mistake that is obvious to the trained eye? Why is Vpp so huge, when the noise given in the datasheet is only 40mV? Is there another way to fix this other than randomly dropping in different output capacitors? I think you'll have problems with your layout. C3/C4 MUST be closer to pin 1 (EDIT this should read pins8/9 not pin1). When I say closer I mean living on it! Ditto C7 - it needs to be camped right on pin 7. Now I've never used this part but this is standard procedure for this type of device. Think about the current pulses flowing from pin 7 to C7 and the length of track between it and the IC - probably 20nH of track. The ground return of C7 - where is it going? It's going right back to the wrong ground pin (signal ground). C7's ground should be as short as possible to pins 5 and 13 as possible without breaking trespass laws. And this should be your star-point for keying off signal ground. 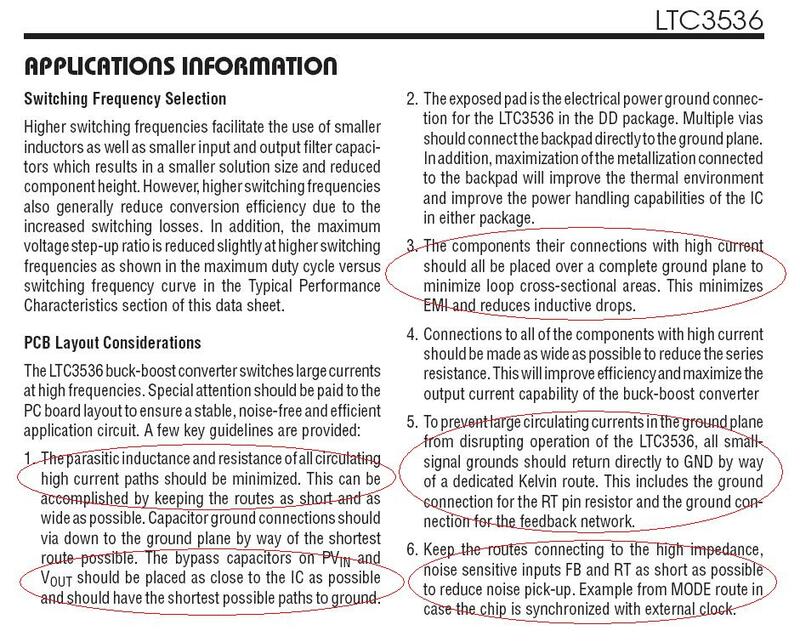 Signal ground should then go to your feedback components and not pass any load or C7 current at all. Not the answer you're looking for? Browse other questions tagged power-supply switch-mode-power-supply noise boost buck or ask your own question. Boost or buck regulator for battery life? Why does touching the capacitor in my buck regulator cause my micrcontroller to start executing code? What would cause a buck-boost regulator to buzz loudly and generate high voltage ripple during certain input voltages?